EastGate is more than just a drug development company with an oral insulin formulation and an Aging Clinic Surgery Center in Canada. It’s a global license play. $41 million in committed non-dilutive R&D Funding ($.041/share). $2.0 million within 60 days. EastGate Biotech Corp. (OTC Pink: ETBI) lands a major strategic European partner’s investment along with milestone payments worth a $36 million for the development of its oral insulin mouth rinse. EastGate has already racked up an impressive 3 joint venture licensing deals this year with Genluiching Mining, Netris/Origin, and Burpharco. The licenses covered under the previously announced JV’s are located in the Philippines and Pakistan. With this new license in Europe it adds an additional 28 countries that fall under ETBI’s global licensing strategy. Once the consortium has obtained EMA approval ETBI will be entitled to a 10% royalty payment up to 15 years in duration. This latest European deal validates ETBI’s global licensing strategy. The company has also racked up a minimum of $41 millionin committed R&D expense from 2 investors. This asset represent $.041 of value per share without any dilution. The company trades at $0041 which means the stock is trading ata 90% discount to its committed financing. $2.0 million USD no later than 60 days upon signing in exchange for 2.0 million preferred shares of ETBI at a price of $1.00/ share. $8.0 million USD equity investment upon the successful completion of a phase 2 study on the liquid insulin mount rinse from the Philippines or any other market in which EastGate or its partner are able to conduct a trial. Up to $20 million USD cash advance for the purposes of funding the clinical trial expenses necessary to secure EMA regulatory approval. In the event the budget exceeds $20 million, Nico Innovapharma will be granted additional shares at the price of $.50/share. $8 million USD milestone payment no later than 60 days after EMA approval of a marketing license provided the budget is not exceeded. In no case will the milestone payments be less than $4.0 million USD. This is a 15 year agreement. Up to 10% Royalty Fee. The recent partnerships demonstrate how EastGate has been able to leverage its relationship in each market to efficiently accomplish the drug development. The reciprocity of the Philippine FDA allows the trials results to count toward Philippine and Pakistani drug approval. This will provide economies of scale with respect to drug development because dosing patients in the Philippines is much more cost effective than Europe, Canada, or the United States. ETBI also has a JV with Bupharcoto file with the FDA of the Philippines. This agreement is so crucial because having that local presence that understands how to negotiate the protocol with the FDA should result in a more favorable and less costly trial design. The Bupharco JV also provides for immediate distribution once the oral insulin mouth rinse gets approval. The true value of this web of partnerships is that the trial data gathered in the Philippines would have use in the other geographic regions and be supportive of approval. Getting Current with OTC Markets: Small cap investors demand that the company’s financials are in order for heightened transparency. ETBI has made a valiant effort but has failed to deliver in this category. The recent hiring of a new auditor leads investors to believe that they are very serious about delivering on this promise. Once they are current investors may flock into this story as they realize the agreements and the cash behind them are real. Dual Listing with Current Reporting: All that is missing for a dual listing are the current financials. This is why getting the financials completed could turn into a large catalyst. More Licensing Deals: The strategy to license geographic regions is very clear as they go after emerging and developed markets. Emerging markets seems to have much better economics than the developed countries of Europe. On their most recent deal they were only able to get 10% royalties in comparison to the 50% of the JV profits for the Philippines. The European market represents a much bigger opportunity but the margins are lower. Investors should expect ETBI to keep nibbling away at more emerging market countries where the returns will be better. There are many countries in SE Asia that have reciprocity with the Filipino FDA. Clinical Trial Design: The next step in the process is the clinical trial design. Once development enters that stage milestones start to kick in and the flow of information will be more medical in nature as the company runs their drug candidate through the clinical trial process. Many investors might have forgotten that the company announced in their last 10Kthat their estimate was the company needed $5.0 million to complete a clinical trial. With over $40 million reserved toward this milestone it seems plausible that they will hit their mark. The diabetes market is enormous which is why large pharma has been depressed since the insulin scandal. They are losing a lot of money but the real question for investors is what companies are going to fill this market void. 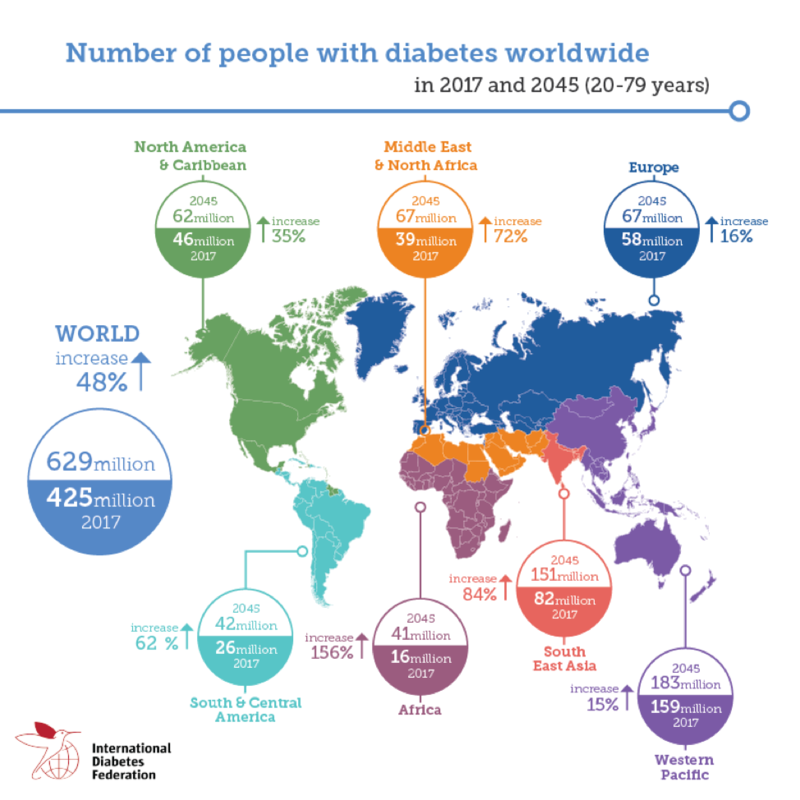 The type 2 diabetes market in the Philippines totals 5.8 million people according to the International Diabetes Federation (IDF). If ETBI with the only approved product on the market captured just 10% of the market it would mean 580,000 patients. In the United States the cost per day is estimated at $4.34 to $12.92 according to a University of Michiganstudy. Assuming the drug costs $1/day in the Philippines, that would equate to $211 million annually. If that number is just too optimistic for investors then they should assume 5% market penetration. This works out to $105.8 million in revenues in just the Philippines market let alone the other 28 European countries they just signed on board. In regard to market penetration assumptions investors need to realize that if these people or the government doesn’t spend this $1/day the disease is going to result in complication that well exceed the annual $365 cost estimate. It is for these reasons that investors need to realistic that there is much greater risk that the market penetration with the government backing it might set a goal of 90% compliance which would make the Philippines alone a multibillion dollar marketplace. EastGate is more than just a drug development company with an oral insulin formulation and an Aging Clinic Surgery Center in Canada. It’s a global license play. The have a vision to take on underserved markets and repurpose drugs to serve the needs of developing markets. The oral insulin market for Type 2 diabetes is enormous and with 629 million diabetics estimated worldwide by 2045. This company’s oral insulin mouth rinse formulation has tremendous potential. Most people would rather not use needles and if given a choice would opt for ETBI’s oral version of insulin. Major pharmaceuticals like Novo Nordisk (NYSE: NVO), Eli Lilly (NYSE: LLY) , and Santofi Adventis (NYSE: SNY) have been in diabetes market for decades and made hansom returns but face intense margin pressure from the “insulin racket”that rocked the market in 2017. The timing for an oral insulin drug couldn’t be any better. Drug companies and sovereign countries like the Philippines understand the magnitude of the epidemic and that a cost effective solution to the masses is essential in combatting the disease. Even Europe a developed continent signed on board today with their deal with ETBI. The regulatory environment is screaming for a solution and the major drug makers are looking for a way to save face from their price gouging. It’s a perfect storm for oral insulin to explode onto the global marketplace and ETBI seems to be in the eye of the storm. If investors are thinking the stock should be exploding because of the billions of potential revenue in the coming year, they are in for a rude awakening. Ever since ETBI settled with their toxic financier investors seem to be on a buying strike and waiting for financials to get completed. Normally this is a wise time tested strategy but things may be a little different this time around. The company essentially has a deal with the continent of Europe and will be getting 10% of future royalties yet the market is saying that the company is only worth a $4.0 million market capitalization. Investors who want to wait for the company to file their financials before investing might find themselves missing a golden opportunity. It’s very plain to see that the company had issues getting their auditors to work for them but they are working now and might be out very soon. There appears to be a 90% discount placed on not being current. Investors that see the enormous potential of oral insulin have 2 choices, wait on the side lines for the company to complete their filings or get a piece of a dramatically undervalued asset.